A tiny puppy was abandoned in Cutler Bay and now officials are looking for those responsible. The tiny black and tan emaciated Chihuahua puppy was left abandoned at the busway located at Southwest 200 to Street and South Dixie Highway. The puppy was found in a rust-brown box next to a debris bucket. The puppy is currently in critical condition and is fighting for his life. Anyone with informed on this case of animal callousness is urged to call Miami-Dade Crime Stoppers at 305-471 -TIPS. 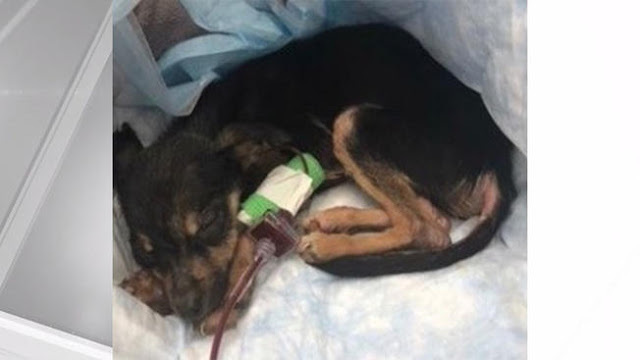 Belum ada Komentar untuk "Puppy Abandoned, Left to Die in Cutler Bay"